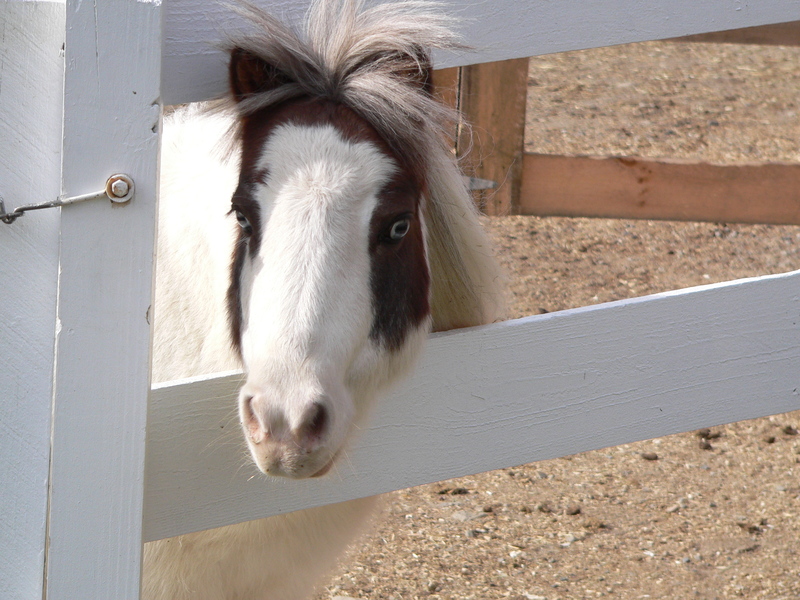 Buck, who is owned by Angie Proper, is the newest member to our group of miniature horses. 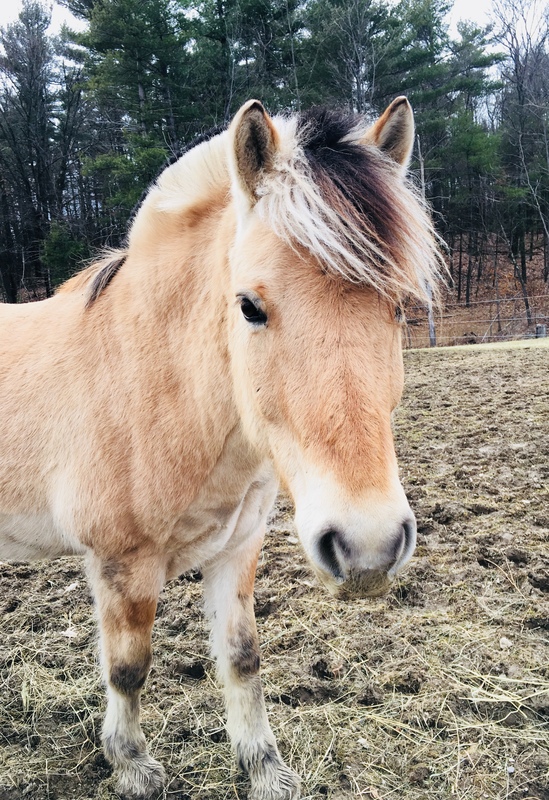 You will often see him roughhousing and wrestling with Roustabout and Scout in their pasture, but don’t let him fool you, Buck’s favorite thing to do is to spend time with people. 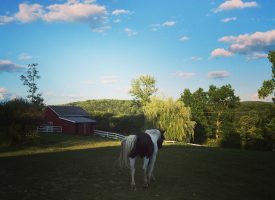 While Buck is a very social horse, we have found that he also enjoys his alone time and looks forward to coming into the barn to spend the night. 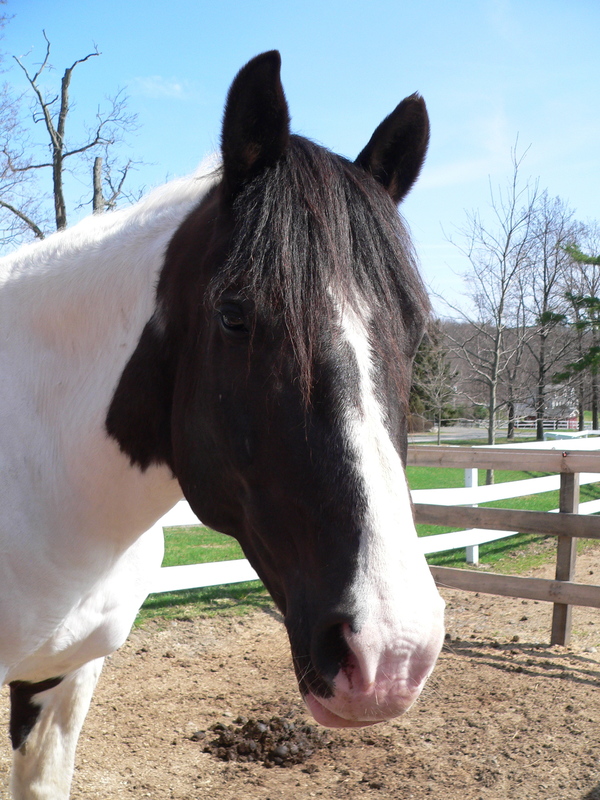 Buck is trained to longline and drive, but also enjoys horse agility, jumping and hiking! 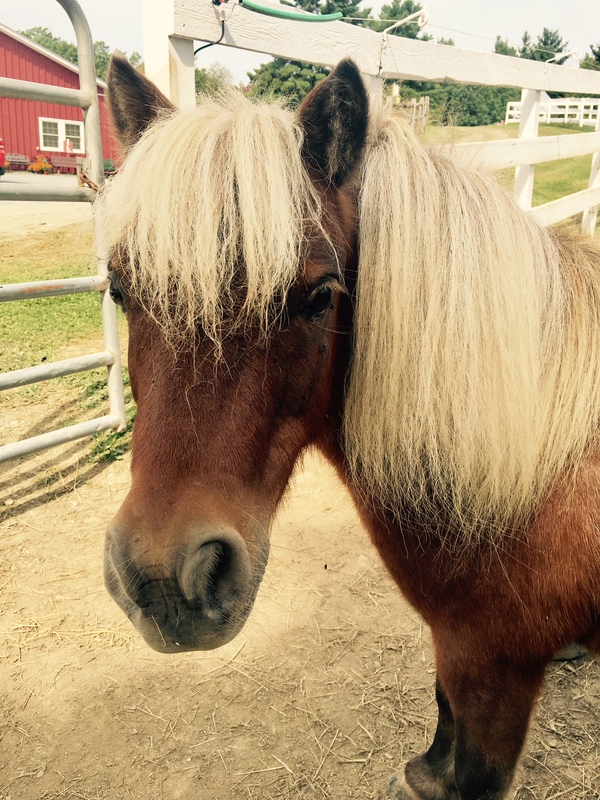 We are so happy to have Buck as a part of our miniature horse herd. 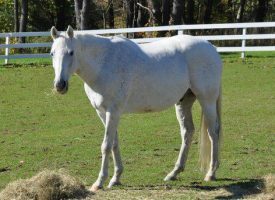 Handsome Jack Gray, known as Jack, is a 16 hand registered Thoroughbred off the track. 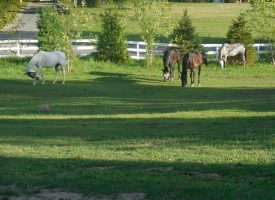 He is flea bitten gray and loves to show off his quickness in the outdoor arena. 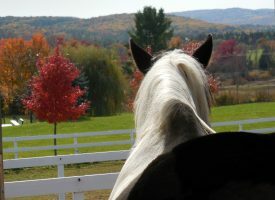 He no longer takes riders on his back but is a great program horse for groundwork and other equine assisted activities. He is a favorite for his kind personality and his soft eye. 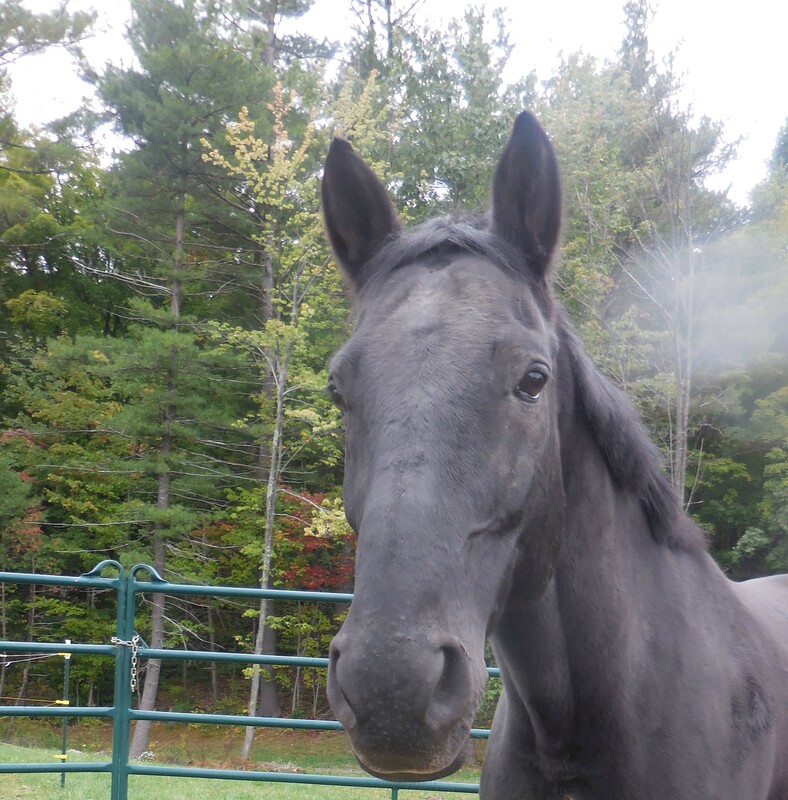 In 2013, Happy retired from his work in program and has since been enjoying his job as High & Mighty’s resident retiree. 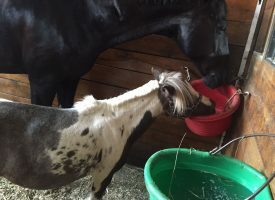 He is a 15.1 hand Appaloosa owned by Liza Fraser and has been with our program from the beginning. Happy is what we call a solid citizen in everything he does. When he participated in program he rode both english and western and enjoyed going out on the trails. These days he enjoys having the run of the farm and being groomed--he gets very itchy! Despite his older age Happy is still quite mischievous, if there is an unlatched window or sliding door he is sure to open it! 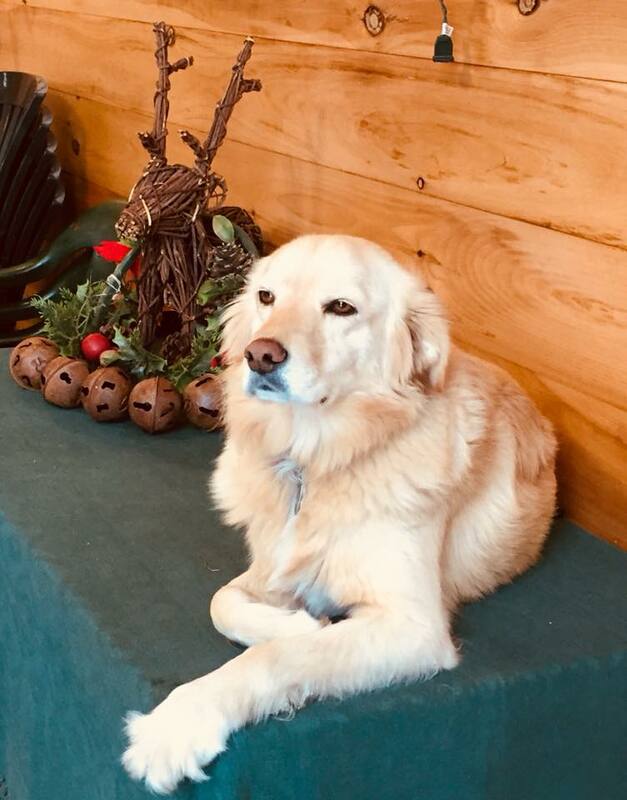 Lily’s owner, Dr. Melissa Sim, DVM, is currently practicing veterinary medicine in Australia and has graciously allowed Lily to join our program while she is abroad. 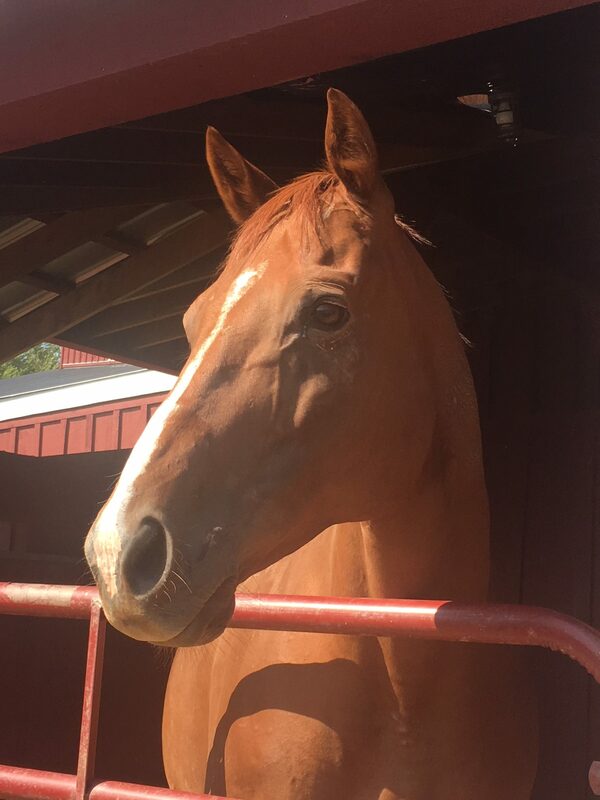 As one of the newest additions to the barn, Lily is hard to miss with her flashy chestnut and white coloring. 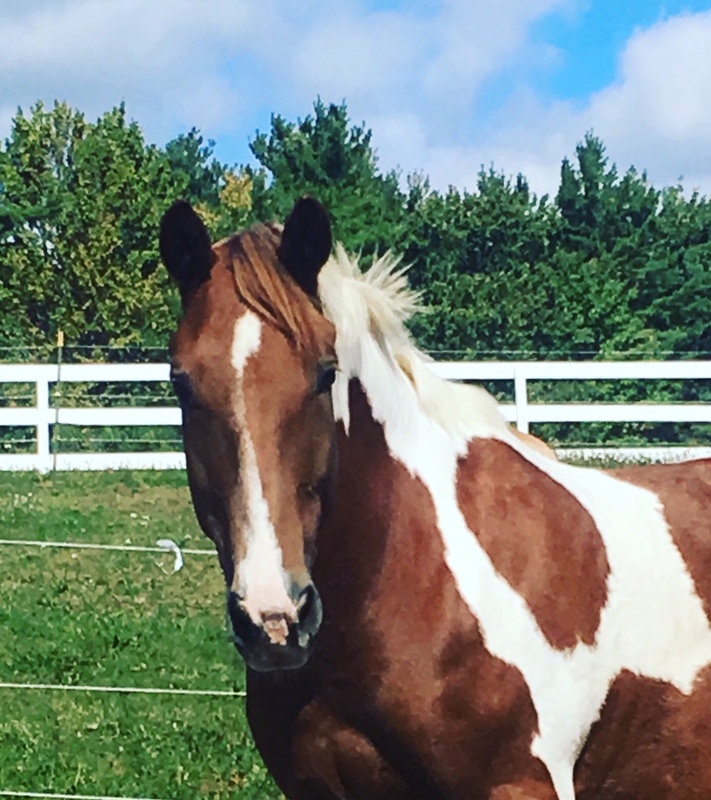 She is a Paint Horse cross and and is the second mare to join the herd. With her looks, size and overall pleasant disposition, Lily has rapidly gained the admiration of many. 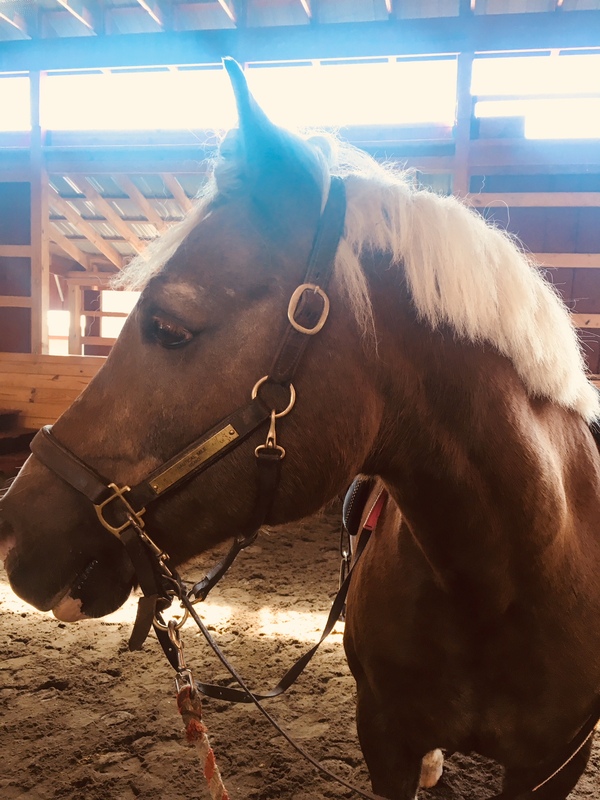 She has proved to be an excellent addition to our herd with her gentle demeanor on the ground and spunky personality under saddle. 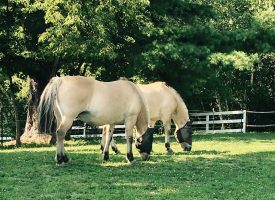 Nemo is our resident Haflinger-- true to his breed he sports the traditional brown body with a thick blonde mane and tail. 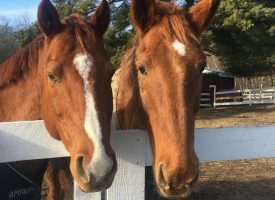 Something special about Nemo’s breed is that their manes fall evenly on both sides of their neck--that’s a lot of hair! 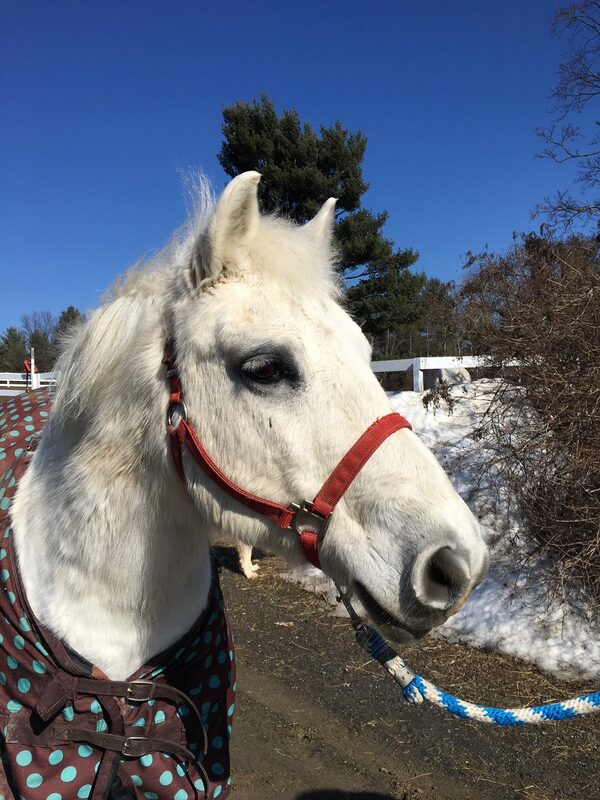 He is a confident, clever and curious horse and enjoys being challenged. 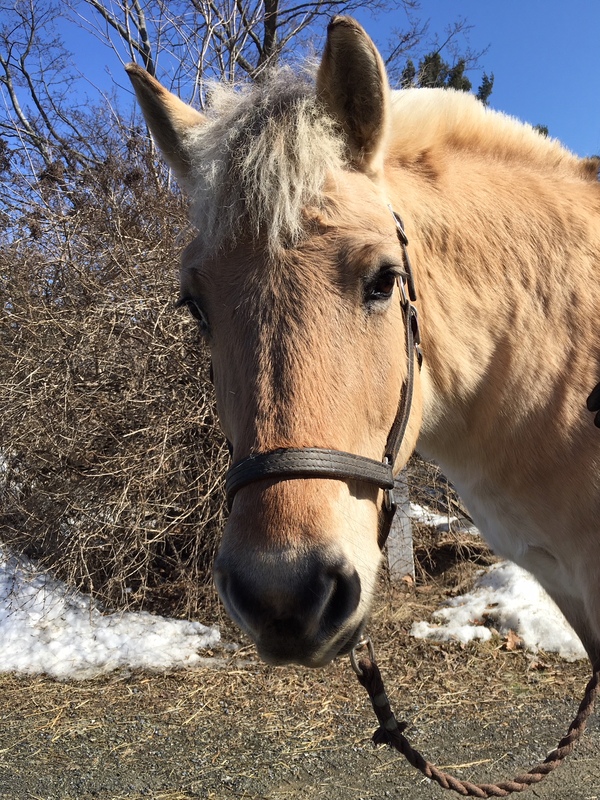 The build of a Haflinger allow their movements to be smooth and comfortable which make them a pleasure to ride, and Nemo is no exception! But where he truly excels is with games, obstacle courses or any other challenge he may be faced with. One of his favorite things to do in lessons is play soccer with our big ball; not only will he push it with his nose, but he will kick it too! “Rocket Rexio” a.k.a “Shorty” is a registered American Spotted Draft. 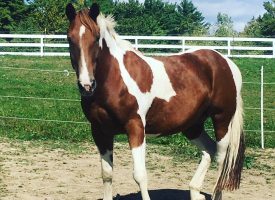 He is a gelding who weighs about 1700 lb., is 17.2 hands, and is a Tobiano Paint. 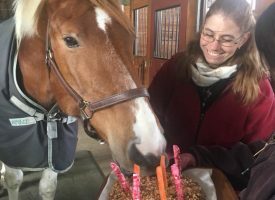 He was donated from Gail Newman and Peter Greenwald of Willamstown, MA. Shorty likes to follow his human friends around, much like a big loyal dog. He loves being groomed by lots of people~ the more the better, which is a good thing as he is HUGE! Roustabout was donated to High & Mighty from Scott & Cindy Kanouse of Ghent, NY. 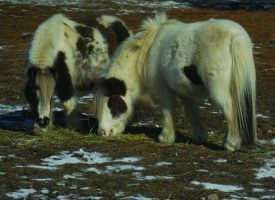 Roustabout is a miniature horse. 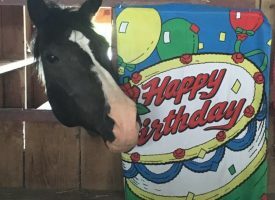 He is actually a medicine hat paint, which the Native Americans cherished for their special spiritual protective powers. Roustabout likes to give kisses and loves attention. In program he works in hand, enjoying the challenges of obstacle courses in the arena. In the herd, Rousabout has a lot of fun with the big boys! 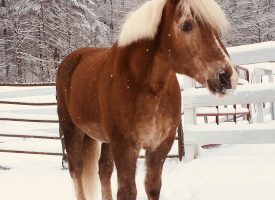 Romeo is a cross between a Quarter Horse and a breed known as Criollo. The Criollo is a South American breed known for their endurance, stamina and strong build. These traits make the breed a popular choice for the sport of Polo which was Romeo’s job before he came to us. Because of his Polo horse background, he often has two speeds--stop or go! One of his favorite pastimes is to convince his rider that stopping in the center of the arena is the goal of the lesson! 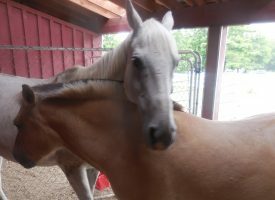 This trait makes him our go to horse for teaching riders how to keep their horse moving. 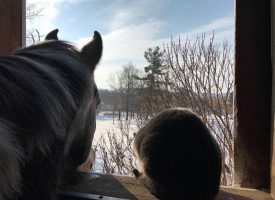 While some horses prefer to be in charge and lead the herd, Romeo is more comfortable being a follower. It is this part of his personality that makes him a star performer of free lunging--also known as liberty work. 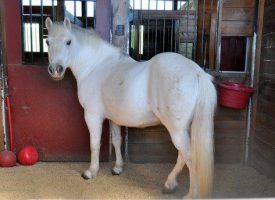 Scout is another one of our beloved miniature horses and is owned by Kay Konove. He has a quiet and sweet personality that lends itself well to his work in program. 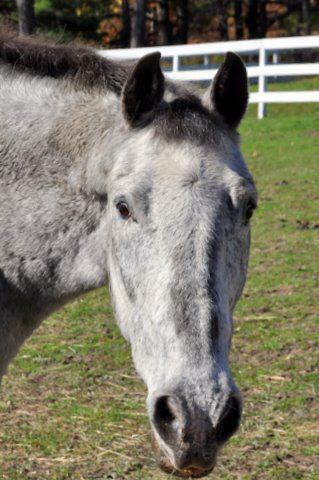 Scout enjoys visiting nursing homes and schools to brighten everyones day and spread the word about equine therapy. He even has a special pair of sneakers to wear on these outings so he can walk easily on the slippery floors! 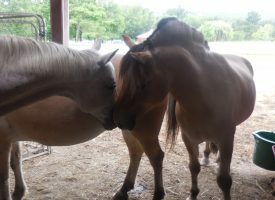 This type of work is especially important for a horse like Scout because he has respiratory challenges. 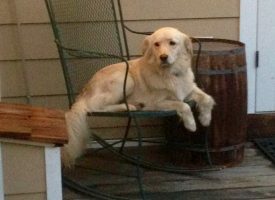 Scout has found a job that he excels in and quite enjoys due to its quiet nature and close proximity to people. In his free time Scout enjoys being read to and groomed by our participants. 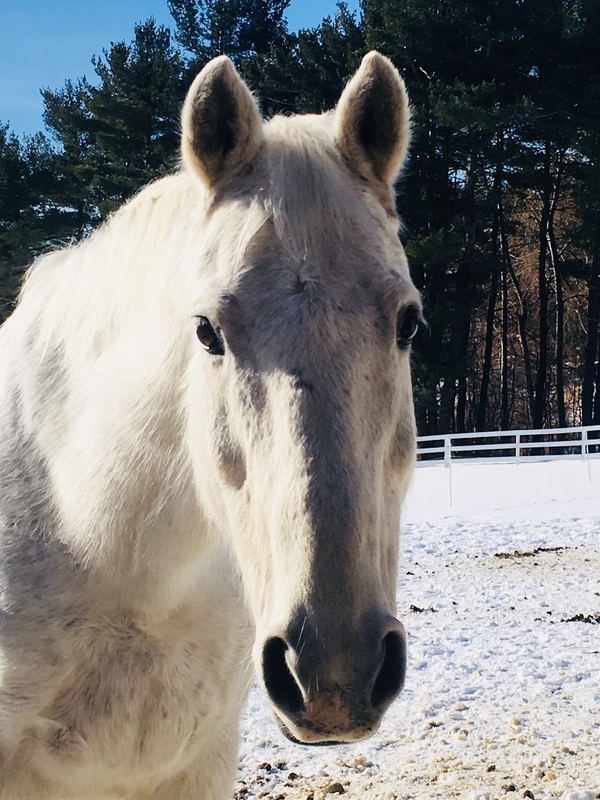 Steal My Heart, known as Oliver, is a 13- 1 hand gray pony with a lot of personality. 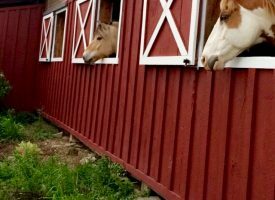 You will find him knocking on his stall if the attention is somewhere other than on him. 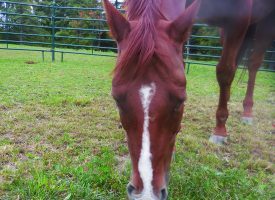 He drives and rides and loves to play with his horsey friends in the field. He enjoys games but prefers not to stand still for too long. He loves attention and is said to have stolen many a heart. 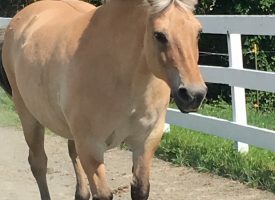 Sonya holds the title as the first mare to join our herd, but is the second Norwegian Fjord. She is owned by Kay Konove. Because she is so easy going and willing to please, Sonya is a great choice for our first time riders. She has worked her way into the hearts of many with her adoring ways, impeccable ground manners, strong work ethic, dependability and overall confidence inspiring personality. She has a remarkable ability to make even the most cautious person trust in her. 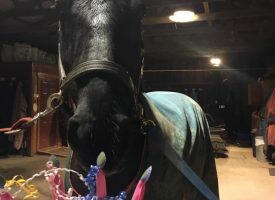 Sonya is also trained to drive a carriage, and while she maintains a slow and even pace under saddle, driving is where she really shows off her beautiful movement and struts her stuff. 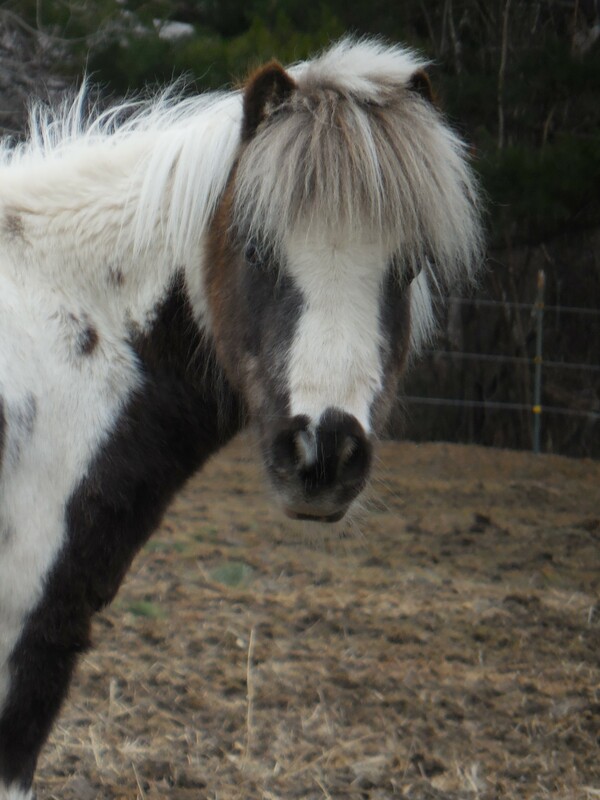 Tillett’s Thom who we call Thomas is a 14 hand Norwegian Fjord. He is a bit of a youngster when it comes to his ground manners. He teaches us all to be consistent, clear and patient with our requests. He is new to driving but has proven to be a good student with a good work ethic. 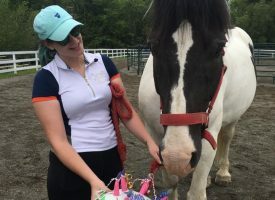 He is wonderful to ride especially for our more independent riders. 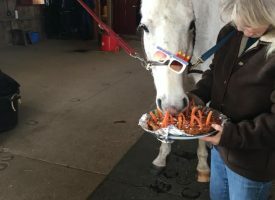 He loves his treats but they may only be given to him in his bucket. Wowolken, or Wow, is a black 16 hand Hanoverian gelding. He is owned by Marissa Celli Hoe. He came to us complete with his own passport. He was imported from Germany and has had extensive schooling in grand prix dressage movements. His movement is impressive but what excites us most his wonderful manners, love of people and his general worldliness. He is not only a great gift to High&Mighty but also a blessing to all who have the opportunity to work with him. Wow really lives up to his name! 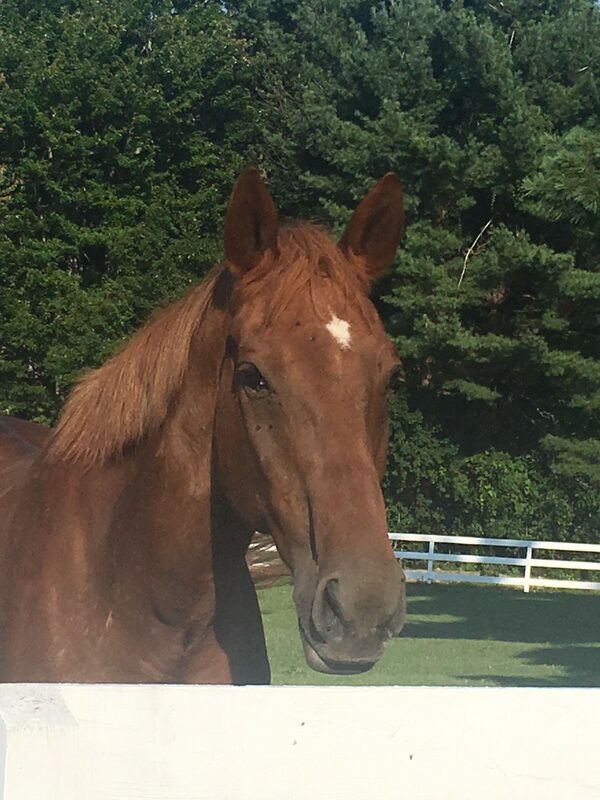 Tennessee born, Dixie arrived on the farm in February of 2013. 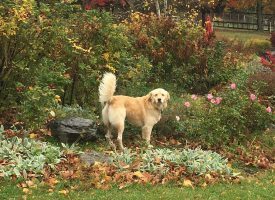 She was a rescue dog but quickly adapted to life on the farm. She enjoys long belly rubs, tagging along on trail rides, running through the woods and mud baths. Dixie hopes to follow in her sister Buffy’s paw prints and is building her prerequisite skills for her therapy dog training. 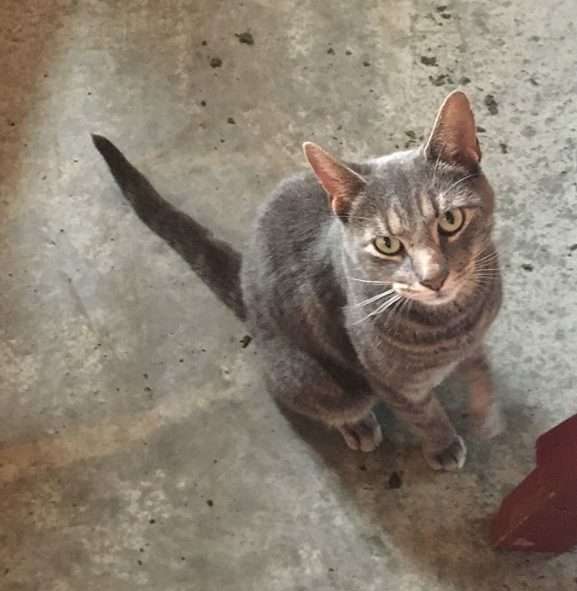 Every barn needs a cat and at High & Mighty we have Vernon! Vernon works hard at his job to keep the barn rodent free. He can be quite the character and is good at making a game out of anything. One of his favorite games is to hide in the bushes and ambush unsuspecting bystanders, so keep your eye out for him! Meet the girls! 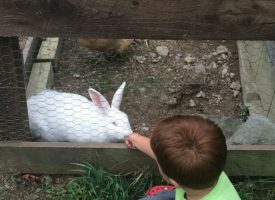 High & Mighty is also home to 12 chickens who generously share their eggs with us. 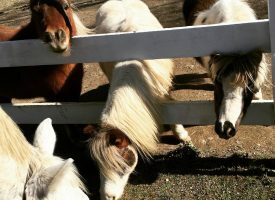 They look forward to our Horseplay program as the campers like to share their lunch scraps with them! The girls have taken a liking to peanut butter & jelly!